ASA’s managed template “Carousel” is specialized for displaying multiple products in a carousel style. 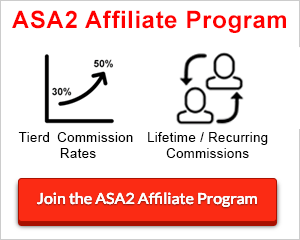 It works perfectly with ASA 2 collections or smart collections. It is customizable in general and per shortcode. Flex_1 specializes in displaying many products in a flexible column layout. For this purpose it uses the modern CSS technology “Flexbox“. It is completely responsive. ASA’s managed template “Flat_box_horizontal” is designed to work with any kind of product. It comes with many options to customize its appearance without having to change the code. “Horizontal_box” is the new default template. It is designed to work with any kind of product. It comes with many options to customize its appearance without having to change the code. ASA 2’s managed template “Sortable_table” is specialized for displaying multiple products in a sortable table. It works perfectly with ASA 2 Collections or Smart Collections. It is customizable in general and per shortcode. This example is built with the following shortcode. The list is limited to 5 items. Click on the table header for sorting. ASA 2’s managed template “Vertical_box” has a narrow design optimized to use in column layouts, tables or sidebars. It is inspired by the “Text and Image” type of Amazon’s link builder.